Apple recently announced that the iPhone 5 pre order sales broke the previous record set by the iPhone 4S. Apple sold more than 2 million iPhones in the first 24 hours of availability. 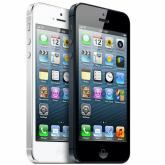 The previous record was held by the iPhone 4S, selling more than 1 million in the first 24 hours of availability. At Apple’s Fifth Avenue Store in New York, many customers have already began to line up and wait for the launch of the new iPhone 5. Apple announced the iPhone 5 on Wednesday 19 September. The new iPhone 5 features a 4 inch retina display, 4G LTE connectivity, a new Lightning dock connector as well as an improved A6 processor. There were mixed views on the company’s flagship product launch, but the results are clear. With over 2 million pre-order sales, the new iPhone is now on track to surphase most analysts estimates of “10 million units” for this quarter. The iPhone 5 will be available at all of Apple’s retail stores at 8am local time on Friday 21st September. It will also be available through AT&T, Sprint and Verizon stores, as well as Best Buy, Wal-Mart and Apple Authorized Resellers. The iPhone 5 will be available in three size capacities, 16GB, 32GB, 64GB starting at $199, $299 and $399 respectively on two year contracts.